EU's Juncker praises "Greatest Destroyer of Modern Times"
British Prime Minister David Cameron “is one of the greatest destroyers of modern times.” So declared EU Commission President Jean-Claude Juncker in Saarbruecken on 1 April 2019. What was his crime? Why did Mr Juncker find him so vile, such an enemy of mankind? “We were forbidden from being present in any way in the Referendum campaign” on Brexit. The EU champion of the free movement of Europeans was apparently prevented and obstructed from entering the United Kingdom. He was not able to take ship or plane, in spite of all the European treaties that assure him of this right of free movement. But was Mr Juncker prevented from speaking on the issues of the Referendum? Obviously not. He has at his disposal the largest press corps in the world, bigger than Washington’s. The British press and television are there. So are European media and the major outlets from the United States. Mr Juncker could speak and his words will echo as far away as Japan. So why was he hamstrung by Britain? He has the opportunity to speak to journalists every day in the Commission’s Press Room. It is broadcast worldwide. Radio and television signals, internet messages burst across physical barriers like the English Channel and customs controls. He would certainly be noticed as he has not spoken there much since he made a surprise appearance to announce that his chef-de-Cabinet, Martin Selmayr, had been accelerated into the office of the Commission’s Secretary General, the most powerful bureaucrat in Brussels. What was Prime Minister Cameron’s crime? How did he so offend Mr Juncker, erstwhile prime minister of Luxembourg? Both should know the ruses of politics, the rules of how to get on in Europe. It is clear that Mr Cameron’s great wickedness was the Referendum. He dared ask the British people what they thought of the European Union, the infrastructure added to the European Economic Community. They did not like it one bit. In contrast, Mr Juncker’s proudest moment was his hand in creating and signing the Maastrict Treaty called the Treaty on European Union. “Standing before this new Treaty I sensed that this might be the most important signature I ever made,” Mr Juncker said. This was on the occasion of 25th anniversary on 9 December 2016, just weeks after the British Referendum. The treaty was remarkable in being a radical rewrite of the democratic principles of the Community system. It led to protests about the Democratic Deficit. It added unaccountable “pillars”, one a bureaucratic structure for internal matters like justice and home affairs. The other was for external affairs. The Maastricht treaty also added another undemocratic monstrosity: a system for European money called the euro. This violated the sound monetary principles that had been outlined in the 1970 Werner Report (named after a Luxembourg prime minister and written with the help of Bernard Clappier, Schuman’s former Directeur de Cabinet and later Governor of the Banque de France. Instead of a Community currency governed by democratic institutions, the euro is based on the erroneous Mundell theory. This is designed for a federation not a supranational Community of nations. The euro is run by a closed-door, unaccountable committee called the euroGroup. It is not even mentioned as an institution in the Maastricht and other treaties. Yet it now governs the economy! 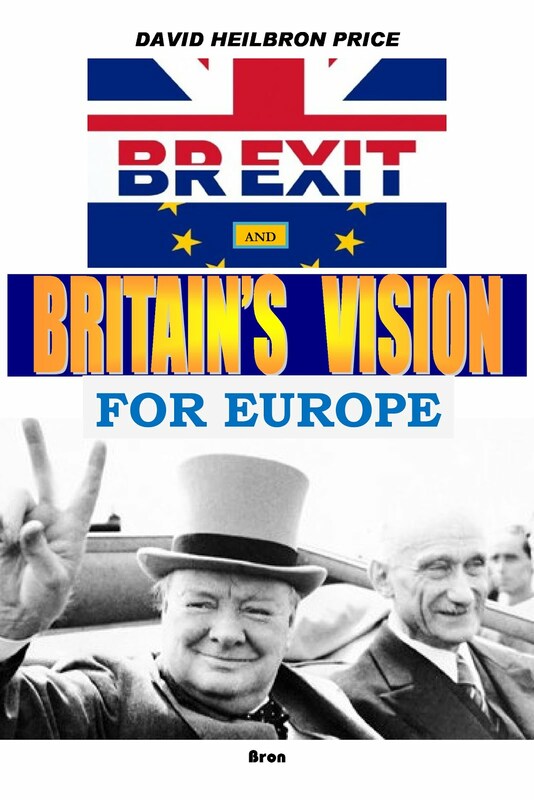 So if we look at the vote to ‘Leave the European Union‘ lucidly, literally and legally, the British did not reject the idea of a European Customs Union that they had strongly supported by referendum in 1975. They are on the right track. Keep the Community system. They rejected all the non-democratic, bureaucratic trappings called the European Union. That is defined as the autocratic additions Maastricht to Lisbon so cherished by Mr Juncker. Bureaucracy adds treacle to Europe’s petrol tank. Europe would boom. Robert Schuman created the idea of a European Customs Union as a step-by-step system to define and build European democracy and set its economy in top gear. A customs union provides the way for all the population to participate freely. Benefits of increased trade and prosperity are sure to follow. So in a real sense, European democracy is identified with the customs union and the single market. So it is an absolute nonsense, logically and economically, to say that a democratic State wants to leave democratically a democratic customs union. Brexit proclaims that Brussels has gone sour on democracy. How? Schuman proposed this customs union with a democratic assembly governing it in July 1948 when he was first Prime Minister of France. It was designed to help Germany become a more democratic country. In that it succeeded. It was also designed to be so strong and forge friendly links to other countries so that Germany would never leave it. In that Schuman was also right. It seems extraordinary that Mr Juncker is so negative against what is considered the most vital part of democracy — the voice of the people in a referendum. But who does Mr Juncker admire as the great hero of modern times — the opposite end of the spectrum from the greatest destroyer Mr Cameron? We do not have to guess. Mr Juncker has already made it well known. He said Karl Marx was the ‘greatest thinker of modern times.’ He was there in Trier to celebrate the 200th anniversary of his birth. Marx gave the world war and armed subjugation of central and eastern Europe by a Politburo. Schuman gave Europe lasting peace and prosperity. World atheistic Communism killed between 44 and 163 million people from USSR to China to Cambodia, North Korea to Africa. It was Marx that proposed the Dictatorship of the Proletariat. He is ultimately responsible for the millions sent to Gulag camps as ‘enemies of the people‘. Who is the greatest enemy and destroyer of the people? Which side is Mr Juncker on?